The night before smoking the ham, place aluminum foil in a deep dish pan with the intent of wrapping it fully around all of the ham (to help keep the juices contained while smoking). 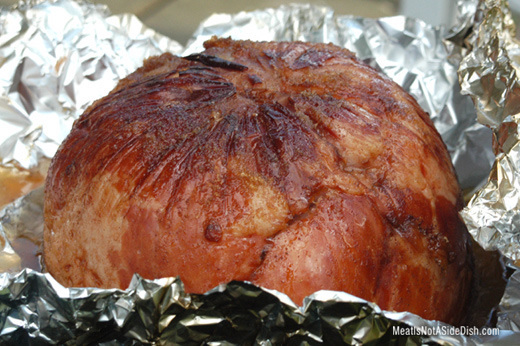 To start the Smoked Ham Marinade, place the ham in the foil and coat with 1 c of pineapple juice. Using your hand or spatula, coat ham evenly with 3 oz of honey. Sprinkle 1/2 c of brown sugar over the honey and close the aluminum foil. The next day, when you are about an hour from being fully smoked (allow for a 4 hour smoking time), very carefully open the aluminum foil and repeat this process. Tip: If you don’t want the bottom of the ham to be soaking in juices, place a small oven-rack under ham inside the deep dish pan.